I am from the US and rented a car for a family trip during my vacation. First, the rental place never did a check through of vechile when receiving it. Also, we were told by the representative of recieving unlimited mileage. Initially, we were recieving excellent customer service, as the closing representative was kind and willing to wait for us 5 to 10 minutes after closing. We were truly appreciative, as we struggle to figure out the gas tank to refill the gas. Again, we were never told of the functionality of the car when receiving it initially. Then, everything went sour when the company was unable to work with us for payment options. Then, we were overcharged of our rental service for milage and time. The manager, who was called for assistance, was also very disrespectful to my cousin. Their is a lack of communication between all representatives, as the closing representative was unaware of our rental services the day before. This was unfortunate, as it became more frustrating and unclear for the closing representative. It became frustrating for all involved. I will not be using their services when visiting Vancouver, especially as the company told us not to come back. Due to the lack of customer service and the company going back on their word, I will not recommend this rental service. Id recommend this location, though Id also recommend arriving early to your pickup — there was a big clump of people right when I got there and one customer had to wait 45 minutes to pick up her reservation. Staff were chill and accommodating despite the pileup and apologetic for the delay. Had no problems with my reservation, no nitpicking or unexpected charges on the return, and the price for vehicle quality was great. 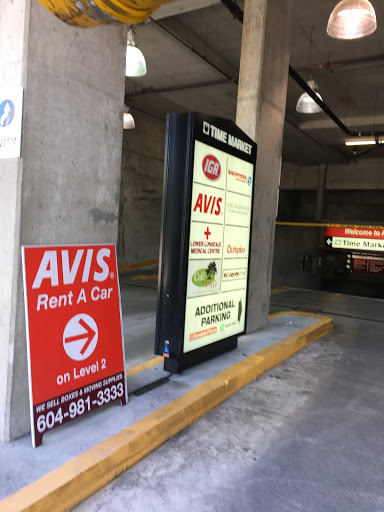 Consider getting short term rental insurance through ICBC if you dont have your own car and thus your own car insurance — itll save you a lot compared to the option from Avis. The hours above are incorrect and the office closes at 6pm. There is no drop box for keys. We arrived after 6pm, left the car in the lot and had to return the next morning. I came in expecting them to try and charge me a late fee, and I was all ready to argue about it, but the person working there was very warm and friendly and it wasnt an issue at all. I was a bit miffed about the inconvenience, but the excellent customer service saved it. I wouldnt hesitate recommending this location. Just be aware of the limited hours. I used an AMEX reward voucher here for $200. I booked the reservation through the approved method listed on the voucher. They took the voucher, but did not apply it to the reservation. They ended up charging me for the reservation and have to this point have still refused to offer a refund. Ali is the Agency Operator here and is very nice in person. This is a corporate location. As of 7/28/17 still no resolution or response. I called the number the owner listed below, no response and no resolution. On returning home I discovered I was fully charged twice and also charged for an extra day when advised by MJ I could pick my car up early without any extra charge as I was returning it early. Very unhappy with service. Poor office to deal with. Great customer service. Got in a bit late from our trip to Portland and the worker was just leaving about 30mins after close. He still took the time to allow us to drop it off and close the contract. No problem. Great experience at the North Vancouver location. Pickup and drop off was a breeze. Car was a brand new VW Jetta with unlimited mileage usage. Only paid 26$ for gas round trip North Van to Whistler. Easy check in/check out, and staff is not pushy. The office is on the 2nd floor, but pickup/dropoff is actually underground. Accessible by elevator. Lots of great car to pick from and amazing customer service. Ok. Awkward​ location to park, but close to the seabus. Quick rental close to the Lonsdale Quay Hotel.